We have a conversation on the 50th anniversary of the March on Washington, which will be commemorated with an event on August 24th in Washington, DC. We’re joined by: Dr. Ray Winbush, Director of the Institute for Urban Research at Morgan State University; Dr. William P. Jones, professor in the Department of History at the University of Wisconsin – Madison and author of The March on Washington: Jobs, Freedom and the Forgotten History of Civil Rights; Danny Schechter, award-winning journalist, television producer, independent filmmaker, and media critic; and Leo Burroughs, civil rights activist and president of the Memorial Apartments Tenants Association in Bolton Hill. 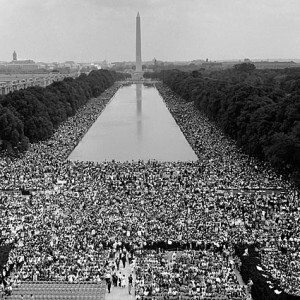 There is a bus being organized from the Govans community for the August 24th March on Washington with seats still available. It will be leaving at 7:30am from the Govans-Boundary United Methodist Church at 5210 York Road. More information from Lisa at 410-818-6174.